In case any of you out there were considering depositing some saliva in a customer’s food today (or at any point in the future), remember that it’s not just gross, it’s illegal. And if you’re caught, you’ll lose your job and possibly your freedom. Just ask the former McDonald’s employee who will spend at least two years in jail for adding some secret sauce to a customer’s food. And not just any customer, but a police officer in uniform. 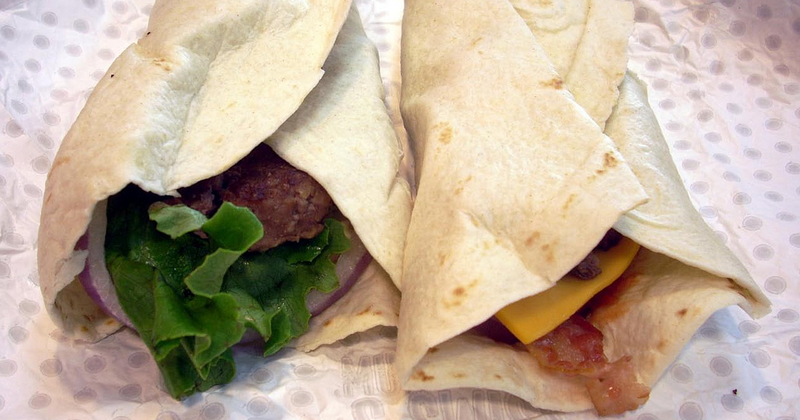 According to the Iron Mountain Daily News, the officer ordered a snack wrap from a McDonald’s back in Aug. 2012, when the employee thought he’d put a little spit in it for the customer. “It’s something that any customer at any restaurant worries about,” said the prosecutor in the case. Making matters worse, the former fast-food slinger? He’s subsequently tested positive for hepatitis C. The spitter claims he had no idea he carried the disease until after the blood test. Luckily, the officer who received the drooled-into food has tested negative. The 24-year-old spitter was sentenced in Dickinson County (Michigan) Circuit Court on one felony count of placing harmful objects in food. Because of his past offenses, he could have been sentenced to up to 20 years in prison, but instead received a sentence of at least 29 months in county detention. The convict’s lawyer says his client admits the spitting was “dumb and disgusting,” but says that he’s gotten his GED in the months he’s already spent behind bars and hopes to someday go to college.